ti Throw whatever happens to be in the fridge, (parsley, dried cranberries, pine nuts and crumbled goat cheese this time), and you’ll have a healthy and filling meal in mere minutes. Wild rice with chicken or vegetable stock and a pat or two of butter really makes a world of difference. 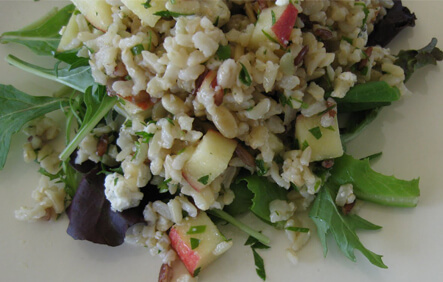 This salad can be made with any grain, try it with quinoa, brown rice, farro, etc. There are no rules for this salad – here’s your chance to get creative and clean out that fridge all at the same time. Enjoy! Season with salt and pepper, and drizzle with olive oil (or walnut oil) and fresh lemon juice – adjust to your liking. 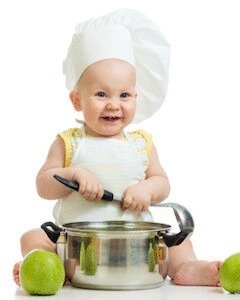 Serve over a bed of mixed baby greens. Celeste is a hunter of bargains -- but doesn't cut corners when it comes to food. Creating her own fresh dishes she shares on her own blog Meals at Home.